Today we’re with Nigel Pyne, co-founder of Maverick Muse, the company behind the current Kickstarter game oddball Aeronauts. Thanks for joining us Nigel. First, will you tell us a little about yourself? You’re welcome. Sure: I have a beard. There you go, will that do? Okay, wow, a little bit about myself. I guess this little intro says a bit about me on its own doesn’t it? Today we’re joined by two gentlemen who are, in their own ways, shaping the face of indie gaming as we know it today. Patrick Nickell, founder, el presidente, and Grand Poobah of Crash Games. And Jason Kotarski, designer of last year’s Great Heartland Hauling Co., which made our top 10 games of 2013 list. Patrick, Jason, thanks for joining us today! Before we go much further Patrick can you give us a quick recap of 2013 for Crash Games? 2. Kickstarted Paradise Fallen and shipped it out to backers worldwide. 3. Kickstarted Council of Verona and shipped it out to backers worldwide. 4. Kickstarted a true, pay-what-you-want campaign for Where Art Thou, Romeo? and shipped it out to backers worldwide. 5. Attended six conventions including Spiel in Essen Germany. What was the biggest surprise of the year for you? P: Council of Verona, and how amazing and fast the project came together. I had a great game designer in Michael Eskue, a phenomenally talented artist in Adam McIver, and my awesome graphic designer, Darrell Louder, was able to wrangle everything together. And my manufacturer Panda Games did a good job of making things happen in a very short amount of time. Jason, since the release of Heartland Hauling, you haven’t been resting on your laurels–you’ve been working away, designing. How many designs have you completed since then, and how many are you working on currently? Jason: Since Heartland came out I caught the bug. That was the first game I ever designed, but since then I’ve been working on something like 8-10 more. I published a game called FrogFlip with Sprocket Games, and another game is coming this spring from White Goblin Games, as well as another half dozen that are in varying degrees of development. It’s a fun space to create in. An idea pops up and I know pretty quickly whether or not I have to work on it. Then, I get to it until I get stuck and move on to something else until I get unstuck. Now, you guys have known each other for some time, but you most recently sat down and talked business at Unpub 4. And there’s some big news that came about from those talks…do tell! P: I have been a big fan of Jason’s ever since hearing his story back when he first met up with Dice Hate Me Games and recorded a “State of Games” episode on Chris’ podcast. I backed Great Heartland Hauling on Kickstarter and have been enjoying playing it to this day. Jason and I always chatted at various conventions and I felt we had a really good vibe going. When we met up the evening before the official kick-off of UnPub4 I had the opportunity to play Dead Drop and I really enjoyed playing it. Later in the weekend I heard all the commotion inside the venue and went over to discover that it was coming from another of Jason’s games, this time it was Sunset Shuffle. After playing the game I knew that it fit a very specific type of game I was looking to add to the Crash Games catalog–not to mention IT WAS A BLAST! I was very happy to walk away from UnPub4 having signed both Dead Drop and Sunset Shuffle, which I am now calling Sunset Showdown. This is really cool news! First, let’s talk a little bit about Dead Drop. Jason can you tell us a little bit about the game, and how it plays? And Patrick, what drew you to the game and made you decide to publish it? J: I guess Dead Drop started as a way to explore the microgame space a bit. I had a lot of fun making FrogFlip with my daughter, which consists of just 12 cards, and wanted to dig in a little deeper and out of my comfort zone. 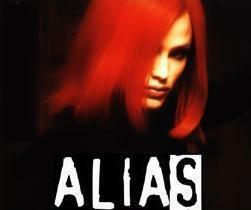 The idea hit me as I was watching the Alias television series this past year with my wife. In the show, the secret agents were always leaving sensitive information for each other in public locations. It was a way to pass on key information while keeping the agents’ identities a secret. So from there I worked on the idea that various organizations were racing to be the first ones to discover this secret piece of information that had been hidden. At its heart it’s a simple game of deduction and maneuvering, with some elements that make memory really important. In the game there is a secret card, numbered 0-5, dealt face-down to the middle of the table. This is the “drop.” Then there are a number of cards that are dealt face-up to the “cache” as shared information, and the rest of the cards are dealt evenly among all the players. On a player’s turn they can swap a card with another player’s, swap a card with the cache, or add two cards together from their hand to demand that another player tells them whether or not they have a card equal to that sum, or to guess the card that’s in the “drop.” It’s a light deduction game but the twist is really in the maneuvering of the cards. You can’t just guess the card that’s in the drop and say it out loud. You have to have two cards in your hand that add up to the number on the hidden card. I’m terrible at memory and deduction but it’s still fun for me to play and to watch others have these huge “a-ha” moments. P: I have always been a big fan of games that have a little footprint. It just isn’t realistic to drag your copy of Railways of the World to play with you at Denny’s. When I decided to publish Council of Verona I started dreaming about an entire series of small games that people could take with them anywhere and play in a very small space. This dream resulted in the Pub Series and Dead Drop is an amazing fit into the Pub Series. Dead Drop at its core is a deduction game, which is one of my favorite mechanisms. I really enjoyed several of the mechanisms in the game and with a small amount of cards and tokens it was difficult to say no to. Okay, now let’s do the same thing for Sunset Showdown! Aaaannd go! P: Well I first heard people playing the game while I was having a discussion with another publisher. Once that talk was over I went over to see Jason teaching the game, and my nephew Spencer and I got in on the next game. I had the most fun that I had the entire show playing it, and I’ve been looking for a game like Sunset for quite awhile now. J: The response to Sunset Showdown at Unpub4 was amazing. We made such a ruckus with that game. 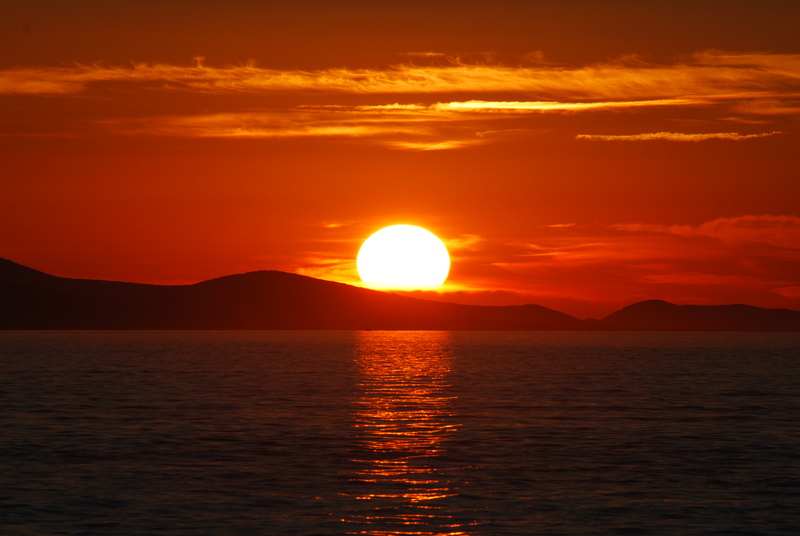 This one is a real-time dice game where players each have six dice that represent their family members who are spending a week trying to get the best spot on the beach to witness the sunset each night. Everyone rolls their dice trying to get pairs that match the three open beach spots for the round. But there is a Life Guard die that comes into play that slows folks down and gets passed around hot-potato-style. It’s a really simple, fast game that just keeps bringing great experiences out with whatever group I’ve tried it with. 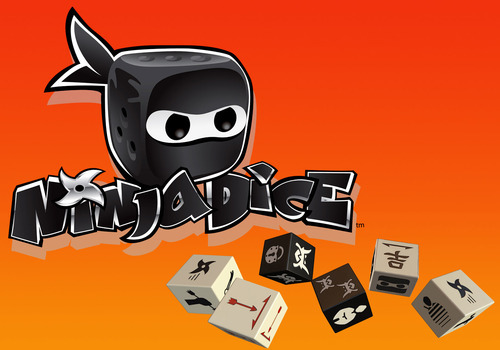 Think of the fun, intensity, and ease of entry of Spoons or Dutch Blitz, but with dice and some nice twists. Will either of these games be an addition to the Pub Series for Crash Games? P: Dead Drop will be a Pub Series game, but Sunset will not. We’re assuming these will be crowd-funded through Kickstarter. Do you have a timetable for when we’ll see them hit our favorite Internet crowd-funding site? P: Right now there isn’t a specific time table for either game but I would really like to try and have Sunset on Kickstarter this summer. Crash Games is publishing 8 games this year and it would be foolish for me to try and pinpoint when each one is going up on Kickstarter since there are so many parameters outside of my control. So, what was your favorite game of 2013 that neither of you were involved in? P: Machi Koro, which I tried to license and did not get. I also really enjoyed Keyflower and Trains. J: That’s tough. I love Daniel Solis’ Belle of the Ball, which isn’t out yet, but I got to play the prototype a bunch at GenCon last year. And I’m pretty into Guildhall and Rampage, too. The Lightning Round! Answer these questions with one word… or less!?? Favorite game you’ve backed on Kickstarter? P: This is going to sound horribly biased, but my favorite game that I’ve backed is also the game that I play the most: Great Heartland Hauling Company. J: Good answer, Patrick! I’ll say CoinAge. It’s just ridiculous. P: Speed Skating, Luge and Bobsled. I really like too many. The movie Groundhog Day… Love it or hate it? P: Love it and I don’t watch it enough. We better get going if we’re going to stay ahead of the weather. J: Never made it all the way through. I’m sorry. 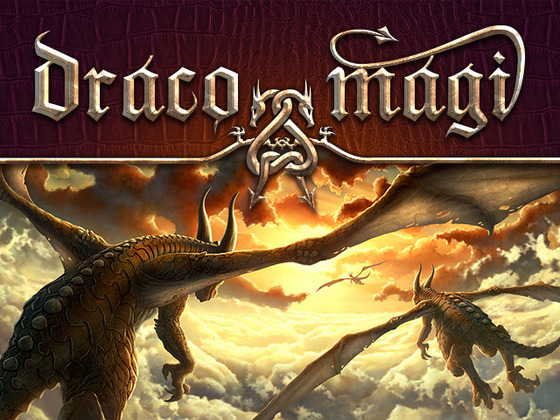 It’s time for another sit-down and chat with a game designer, and this week we’re chatting with Robert Burke of Robert Burke Games, co-designer of the currently Kickstarting Draco Magi, among other things. Robert, thanks so much for taking some time during your Kickstarting to share your thoughts with us and our readers. 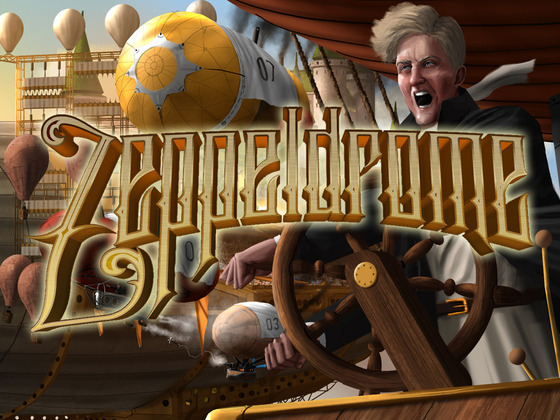 Today we’re joined by Anthony Gallela of 12SP Entertainment, co-designer of the currently Kickstarting Zeppeldrome: a zany zeppelin, puzzle, race game. Anthony, thanks for joining us today! So for those who don’t know much about you and 12SP, can you give us a little back story? I’ve been in the game industry since the 80s. I started as a play-tester and a convention-runner (including KublaCon), and then moved on to being a game broker, game developer, and the like. I’ve managed a couple of game stores, run the Game Manufacturers Association (including Origins and GTS), and, of course, designed a couple of games. 12SP Ent is a new company I’ve started with my friend, and “Zeppeldrome” co-designer, Jeff Wilcox. We’re looking to publish a few titles that we’ve been working on over the years while we’ve been helping other folks get their games to market. 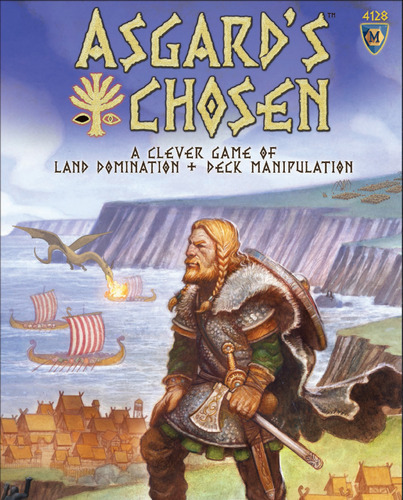 Joining us once again is Gamelyn Games guy, Michael Coe. 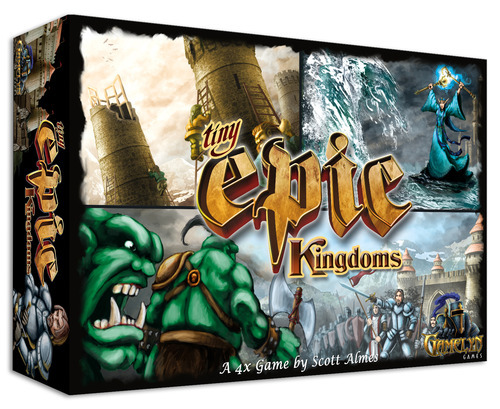 Today we get to have a little chat about some exciting news as Gamelyn has launched a Kickstarter Campaign for Tiny Epic Kingdoms! Michael, thanks again for joining us; we appreciate your time! So before we get started on Tiny Epic Kingdoms: Last time we chatted we were discussing Dungeon Heroes. We can only assume most of your efforts recently have been directed toward Tiny Epic Kingdoms, but has there been anything new in the works for Dungeon Heroes? Expansions? Multiplayer mechanics? Both actually, Dungeon Heroes offers a rich canvas in which to paint multiple expansions and variants. I’m currently working hard on putting together a 4-player Dungeon Heroes. Likely, a new game altogether but keeping true to the original concept and engine of Dungeon Heroes. Along those lines, I’m excited to announce that Dungeon Heroes will be coming to iOS this summer!! If yes, do you have any estimate for a timetable that these plans will be unveiled? I’d really like to have something ready to show this summer. I plan to release Dungeon Heroes on iOS at Origins this year. I hope to have a new DH to demo there are well. Yeah, so…we’re behind on podcasts. We have good reasons for it, but you don’t really care what they are. Just know that we’re back in the groove, and a new podcast just dropped.